To define a secured debt, we need to first define collateral. Collateral is something pledged as security for repayment of a loan, and is forfeited in the event of a default on the loan. A secured debt is any debt that is backed with collateral. Types of secured debt include company vehicles or machinery, a mortgage on office space, an equipment lease, and SBA loans. If you default on a secured debt, the creditor will most likely try to repossess the collateral that is backing the debt. But just because the creditor repossesses the collateral, the debt is not forgiven or considered paid in full. When the creditor repossesses the collateral, it will then be sold to the highest bidder (usually at an auction). If money is still owed, the business and any personal guarantor is still liable for the remaining shortfall. An unsecured debt does not have collateral attached to it. However, collateral should not be confused with a personal guarantee. Many small businesses have one or multiple unsecured debts that are personally guaranteed by the business owner. This means that the business owner has agreed to be personally liable for the debt should the business default. Examples of unsecured debt include company utility bills, monthly phone bills/monthly internet bills, open accounts and lines of credit with vendors or suppliers, rent, most vendors account payables (like IT and telecomm services), insurance (health, auto and worker’s comp), and company credit cards (which most likely have personal guarantees). 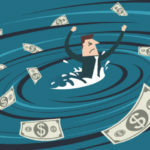 One thing to keep in mind is that, just because unsecured debt does not have any collateral or assets backing it, does not mean that eventually the creditor cannot seize assets to recoup the outstanding debt owed. The process to seize assets is longer with unsecured debts compared to secured debts, but if you ignore an unsecured debt the creditor could eventually sue you and obtain a judgment which would allow them to try and seize assets. Download our free guide to see how judgments affect your business credit. 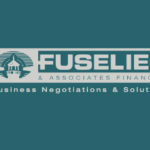 Whether you are having issues with a secured or unsecured debt, Fuselier & Associates Financial has the expertise to negotiate a settlement directly with your creditor to help get your debt issues under control and prevent the seizure of assets. Contact us today to see how we can help your business.